A Symposium Co-Sponsored by The Haverford College Libraries’ “Texts and Technologies” series, the Haverford College Concentration in Peace, Justice, and Human Rights, and the Human Rights Project at Bard College. The purpose of this symposium is to create dialogue between two distinct sites where evidence is preserved and information disseminated for the purposes of the broader public good: archives and mass graves. In recent years, the growth of digital archives and digital humanities have raised questions about preservation, ownership, and privacy. For example, how can archivists and digital humanists attend to the virtual and physical possessions of native peoples who have traditionally had their things archived without their consent? Another form of “archival” technology, the forensic investigation of mass graves, has become a dominant form of post-conflict truth-telling. In the course of these investigations, however, experts have discovered the dangers in adopting a purely evidentiary approach to graves and bodies—for example, when for religious or political reasons the families of the missing wish not to have their dead disturbed. In both the digital archive and the mass grave, there is a significant professional imperative towards preservation and documentation, but also times where the “open archive” can do violence to communities, defying their beliefs about the proper treatment of the dead and prolonging trauma. This symposium, which features innovative scholars and practitioners from archives, digital humanities, forensic science, anthropology, and crisis management, centers on these cross-cutting questions about ethics, agency, cultural risk, and the recovery and preservation of evidence. It seeks to create new and ongoing collaborative relationships across fields oriented towards innovative evidentiary practices, and to establish an agenda for further work in both scholarship and professional ethics. For further information, contact Brie Gettleson or Adam Rosenblatt. "Evidence of What? : How the 'Dead' Threaten to Become Alive in Canadian Transitional Justice"
"Post-custodial archiving in Latin America: Seeking a New Paradism for INternational Archival Collaboration"
The keynote address is open to the public. Dr. Jane Anderson is Assistant Professor of Anthropology and Museum Studies at New York University. Jane has a Ph.D. in Law from the Law School at University of New South Wales in Australia. Her work is focused on the philosophical and practical problems for intellectual property law and the protection of Indigenous/traditional knowledge resources and cultural heritage in support of Indigenous knowledge sovereignty. Her most recent project with Kim Christen Withey isLocal Contexts. This project, which just received a three year NEH grant includes new Traditional Knowledge (TK) Labels as an educational intervention to address the unmet needs of Indigenous communities to manage their intellectual property and cultural heritage specifically within the digital environment. Lucy Easthope is a Senior Lecturer at the University of Lincoln, Teaching Fellow in Mass Fatalities and Pandemics at the Centre for Death and Society, University of Bath and a guest lecturer on emergency management programmes at the Universities of Leicester, Huddersfield, Dublin City and Coventry. She is also an Affiliate Researcher at the Joint Centre for Disaster Research, Massey University, New Zealand. Lucy is also an Associate at the Cabinet Office Emergency Planning College. She is the course lead for Recovery Planning, CBRN Recovery Planning and Mass Fatalities Planning with a particular interest in Disaster Victim Identification. Her wider training portfolio includes the legal aspects of emergencies; identifying lessons post incident, interoperability, and community resilience in practice. Lucy has developed contingency plans, training programmes and exercises with a number of organisations including airports and airlines, government bodies, charities, universities and police services. She has also participated in the response to major incidents including aviation disasters, the Bali terrorist attacks, and the operations at Brize Norton during the military campaign in Iraq. She has a special interest in the care and return of personal effects after disaster, writing and advising internationally on this subject. Her further research interests include the effectiveness of legislation in the field of emergency management and the human aspects of risk management, insurance and business continuity processes. She presents regularly and engagements include presentations to survivors of the New Zealand earthquakes in 2010 and 2011, FEMA, Chinese government representatives, the Metropolitan Police and the American Academy of Forensic Science. She is a member of the Cabinet Office National Risk Assessment Behavioural Science Expert Group. She is also the technical author of new Home Office mass fatalities material. She is on the editorial board of the Australian Journal of Emergency Management and the International Journal of Emergency Services. She is the holder of an ESRC Urgency Grant awarded in 2014 researching the Disaster Victim Identification Process. 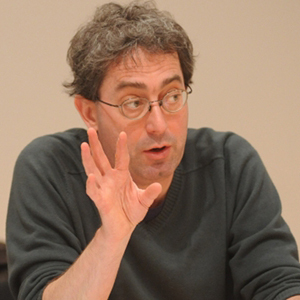 Thomas Keenan is the Director of the Human Rights Project and Associate Professor of Comparative Literature at Bard College where he teaches media theory, literature, and human rights. He is the author of Fables of Responsibility: Aberrations and Predicaments in Ethics and Politics and editor of books on the museum and on the wartime journalism of Paul de Man. With Andras Riedlmayer, he started International Justice Watch (JUSTWATCH-L), an Internet discussion list on war crimes and transitional justice. He has served on the boards of WITNESS and the Soros Documentary Fund. Jaymelee J. Kim is a political and legal anthropologist trained in both biological (forensic) and cultural anthropology. Her work traverses anthropological subdisciplines and geographical regions to analyze human rights, structural violence, settler colonialism, forensic intervention, and social justice issues in "post-conflict" and "post-colonial” contexts. Contested communication, expectations, and perceptions of various stakeholders in these contexts inform her research. In 2014, Jaymelee completed her PhD in anthropology and graduate certificates in both linguistics and disasters, displacement, and human rights at the University of Tennessee. She serves as an elected member of the American Anthropological Association Committee for Human Rights, conference co-coordinator for the Anthropology of Children and Youth Interest Group, and is a member of the NW Ohio Rescue and Restore Coalition for Victims of Human Trafficking. 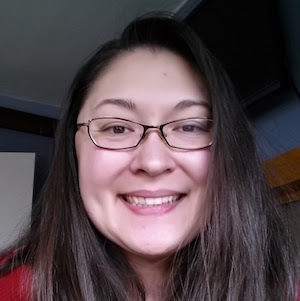 Jennifer R. O'Neal is the University Historian and Archivist at the University of Oregon Libraries, and affiliated faculty with the Robert D. Clark Honors College, History Department, and the Native Studies program. She specializes in American West and Native American history, with a specific emphasis on decolonizing methodologies and social movements. 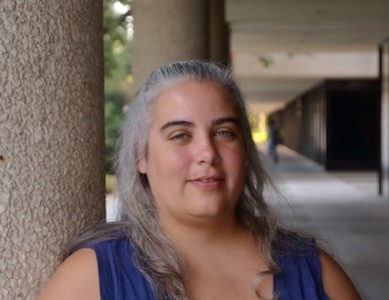 Her research and scholarship is dedicated to the intersections between social, cultural, and historical contexts in which archives exist for marginalized or underrepresented communities and developing frameworks and guidelines for the post-custodial stewardship of collections, with recent publications on this topic in the Journal of Western Archives and Journal of Critical Library and Information Studies. 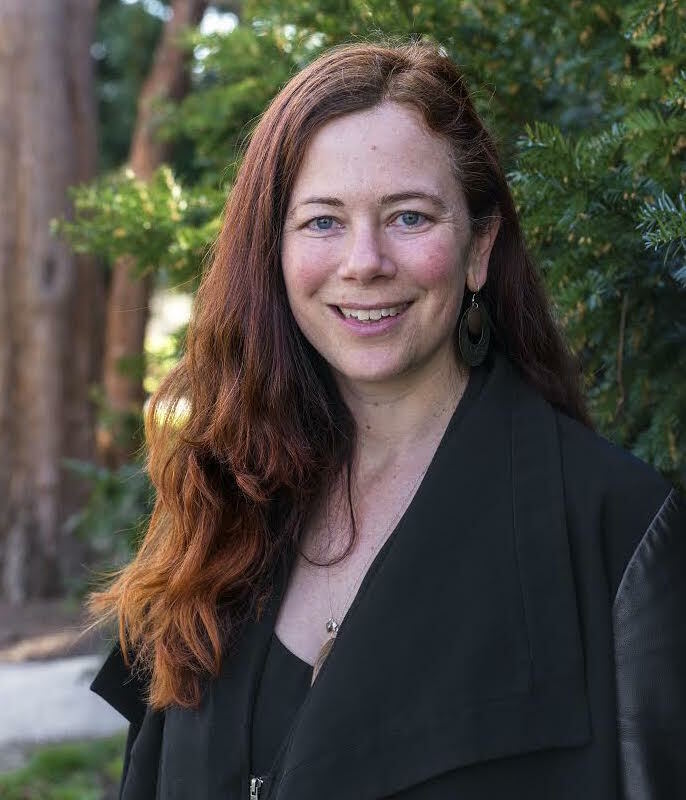 In conjunction with faculty in the UO Honors College, she developed an undergraduate history curriculum engaging students in decolonizing pedagogy and community based-research with indigenous and ethnic community course partners. She serves on various groups in the Society of American Archivists, including the Cultural Heritage Working Group (Chair) and the Native American Archives Roundtable (Past Chair), as well as serving on the Advisory Board for the Association of Tribal Archives, Libraries, and Museums. In 2006 she participated in drafting the best practices for the respectful care and use of Native American archival materials, which produced the Protocols for Native American Archival Materials. She is the recent recipient of the Society of American Archivists Diversity Award. She holds a Masters in History from Utah State University and a Masters in Library Science from the University of Arizona. She is a member of The Confederated Tribes of Grand Ronde in Oregon. Theresa Polk is the archivist for post-custodial and digital initiatives at LLILAS Benson Latin American Studies and Collections at the University of Texas in Austin. In collaboration with the University of Texas Libraries and Latin American partner institutions, she recently co-launched the Latin American Digital Initiatives repository to digitally preserve and provide access to vulnerable human rights documentation from the Latin American region. 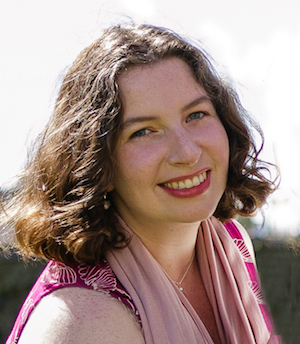 Theresa has a BA in Latin American Studies, an MPhil in International Peace Studies from Trinity College Dublin, and an MLS from the University of Maryland with a specialization in archives and records management. 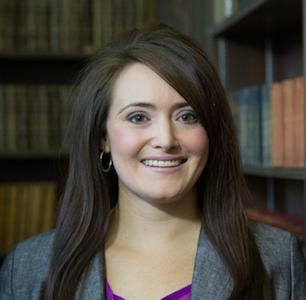 Prior to completing her MLS, she worked on international human rights and development policy, including working in Guatemala to support human rights defenders and families of the disappeared. Danielle Riou is a Research Associate and Associate Director of the Human Rights Project at Bard College. She is the recipient of a 2015 National Endowment for the Humanities award for the Milosevic Trial Public Archive, a collaborative project with the Internet Archive to create a publicly-available audio-video archive of the former Serbian President's four and a half year-long war crimes trial in the Hague, Netherlands. 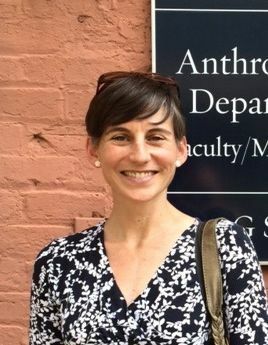 Sarah Wagner is an Associate Professor of Anthropology at George Washington University and author of To Know Where He Lies: DNA Technology and the Search for Srebrenica’s Missing (University of California Press, 2008), and co-author with Lara Nettelfield of Srebrenica in the Aftermath of Genocide (Cambridge University Press, 2014). 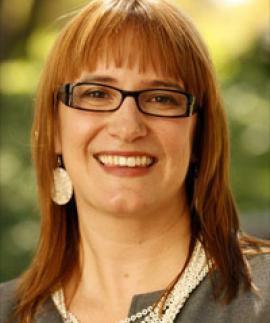 Her research has explored connections between the destructive and creative forces of war, focusing on the identification of missing persons in Bosnia and Herzegovina, specifically victims of the Srebrenica genocide, and the United States military's attempts to recover and identify service members Missing In Action (MIA) from the past century's conflicts. 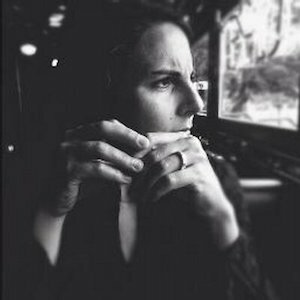 Jacqueline Wernimont is a founding co-Director of the HS Collab and an assistant professor of English at Arizona State University, where she specializes in literary history, feminist digital media, histories of quantification, and technologies of commemoration. 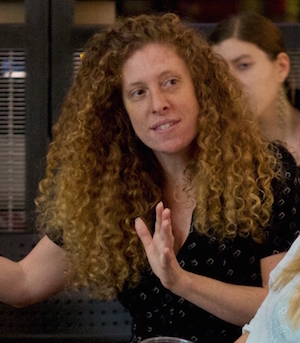 She directs the new Graduate Certificate program in Digital Humanities and is currently a Fellow of the Lincoln Center for Applied Ethics, where she works on new civil rights in digital cultures with a particular emphasis on the long histories of our technologies and practices. She is an active part of the FemTechNet collective. Her other affiliations include ASU’s School for the Future of Innovation in Society, Synthesis, the Center for Cybersecurity and Digital Identity, the Nexus Lab for Transdisciplinary Informatics and Digital Humanities, and the Arizona Center for Medieval and Renaissance Studies. She is also working on a monograph (tentatively titled Quantum Lives) that traces long histories (21st century to 16th century) of particular technologies like self tracking devices, body measurements, and body counts. She took a Ph.D. and M.A. in English Literature from Brown University and a B.A. in English from the University of Iowa, where she also studied Molecular Biology. She cut her digital humanities teeth at the Brown University Women Writers Project, where she began as an encoder and later worked as the project manager and textbase editor. Prior to ASU, she taught at Harvey Mudd College as a fellow and visiting assistant professor and at Scripps College as an Assistant Professor of English. Laurie Allen is Assistant Director for Digital Scholarship at the University of Pennsylvania Libraries. Before joining Penn, she worked at the Haverford College Libraries as Coordinator for Digital Scholarship and Services. In her work as a librarian, she collaborates with faculty, students, and members of her community on creating scholarship in new forms. Among other projects, she has been the technical lead on the Ticha Project which exposes and analyzes texts written in Zapotec from Colonial Mexico. She is also the Director of Research for Monument Lab, a public art and civic engagement project in the City of Philadelphia. 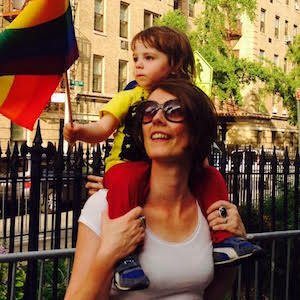 Brie Gettleson is the Social Science Librarian at Haverford College. While she is new to the library field, her academic background is in cultural anthropology. She has researched issues of gender violence in the context of transitional justice in Guatemala, a project funded by the Social Science Research Council. In her current librarian role, she supports student and faculty research in the social sciences and education. 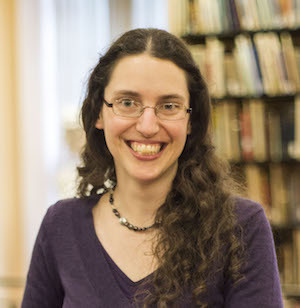 Sarah M. Horowitz is Curator of Rare Books & Manuscripts and Head of Quaker & Special Collections at Haverford College. Her focus has been on increasing use of original primary source materials, particularly among undergraduate students. Among other professional activities, she currently serves on the joint Association of College and Research Libraries, Rare Book and Manuscript Section/Society of American Archivist task force to create guidelines for primary source literacy. 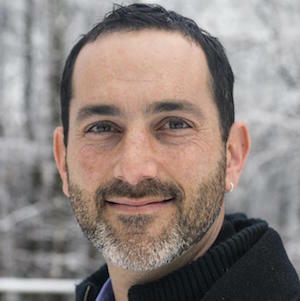 Adam Rosenblatt is a Visiting Assistant Professor in Peace, Justice, and Human Rights at Haverford College. He holds a PhD in Modern Thought and Literature from Stanford University. His recent book, Digging for the Disappeared: Forensic Science after Atrocity (Stanford University Press, 2015), focuses on the scientific investigation of mass graves as a window into both the past and the future of human rights, including how they open up to survivor communities new hopes, new forms of activism, and new vulnerabilities. The book won the 2016 Outstanding Academic Title Award sponsored by Choice, and has been called “required reading for anyone interested in the promotion of justice and social reconstruction in post-war societies.” In addition to Digging for the Disappeared, Adam has published essays on forensic investigation, pedagogy, comics, and other topics in Human Rights Quarterly, Boston Review, The Chronicle of Higher Education, and various edited volumes, and is currently at work on a project about autism and transitional justice. Adam has worked in the International Forensic Program at Physicians for Human Rights, the Human Rights Center of the University of Chile, and at the U.S.-Mexico Border on land reform and housing issues, and teaches classes at Haverford that bridge the gap between theories of peace, justice, and human rights and the everyday practices of people and organizations.